This Sales Invoice Tracker template for excel will calculate line item of invoice subtotals, sales tax, and allow you choose the different type of invoice and then display the corresponding customer invoiced data. And it is a little complicated and also very powerful template. And you can download it freely to use it in your business. 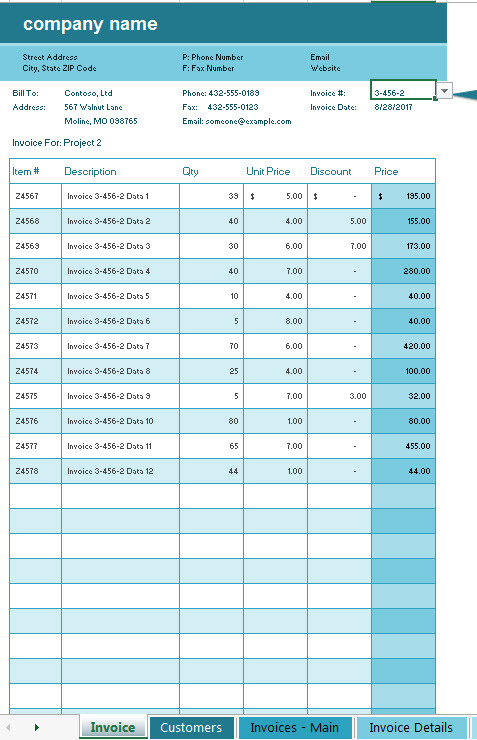 This Sales Invoice Tracker template is mainly used to maintain a history of customers, invoices and invoice details. 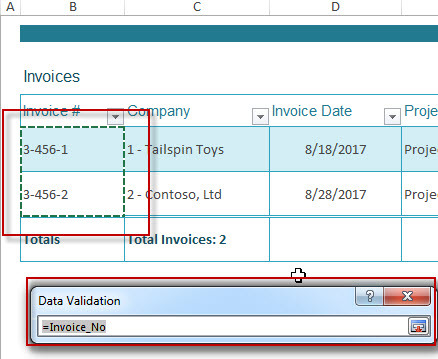 You can analyze your previously invoiced data base on one invoice type. 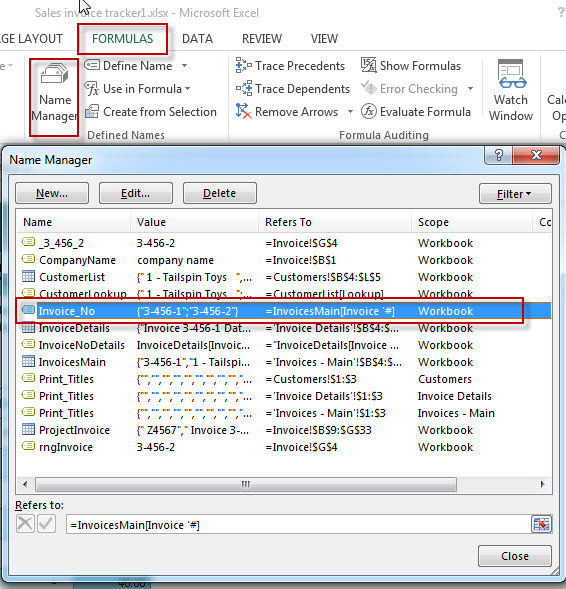 The range B4:B5 in the worksheet “Invoices-Main” is selected as the Data source of G4 cell in “Invoice” worksheet. 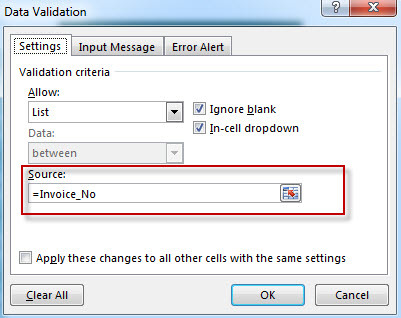 3# “Data Validation” window will appear. 4# click “Data source” button, it will locate to the referring range. 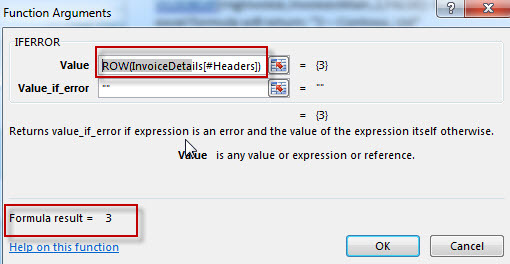 or you can check the defined name (=Invoice_No) from “FORMULAS”->”Name Manager”. Assuming: the value “3-456-2” is selected in G4 cell. So now C9’s formula can be reduce to: =IFERROR(INDEX(InvoiceDetails,26,3,””), it will return a value(Z4567) from table “InvoiceDetails” based on the index (26,3). 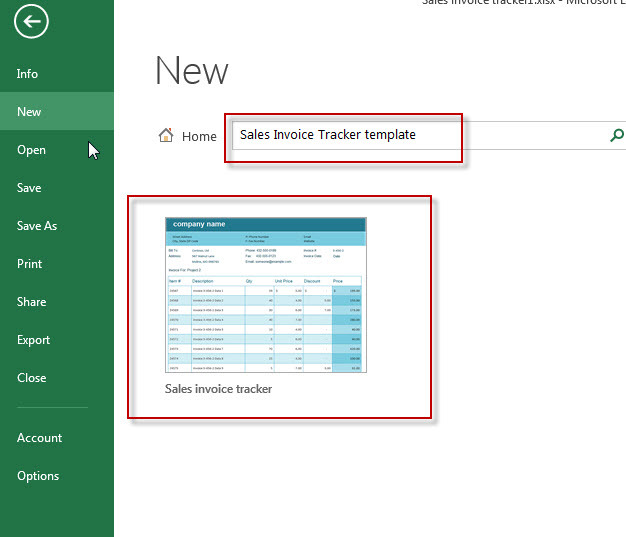 Click “File” Tab ->”New” , then input “Sales Invoice Tracker template” to search online template in the search box.